We don’t know if you noticed (we certainly have! ), but we have been experiencing record-breaking player counts over the past two weekends. This is awesome! Over 1,100 concurrent players online at once this past Sunday. We don’t know what to say! Our services have been expanding like never before, and the Revive team couldn’t be more excited for what’s in store next. Just this weekend we had to expand our Teamspeak 3 server to 128 slots (you guys filled our 32-slot server fast! ), so please come join us! Discord is still open to the public for chat, and provides a solid stream of communication with our dedicated and hard-working Moderation Team! They don’t bite too hard, say hi! The official release date for our BF2142 Revival is set in stone for Friday, September 23rd! If you’ve been following our news posts, you know that we’ve been hard at work bringing the proper infrastructure to life.  We’re proud to announce that existing players should have a seamless experience getting started on BF2142. When the time comes, a launcher update will be pushed which will bring compatibility for the long awaited BF2142 public consumption. If you’ve been waiting eagerly for the release, nows a perfect time to give Battlefield 2 a try while we patch up the final pieces! See you on the battefield, soldiers!